On Monday, Jews the world over celebrated Rosh Hashanah, the Jewish New Year. Observers of the holiday participate in a tradition of eating apples dipped in honey and wish each other not just a happy, but a “sweet” new year. Interestingly, honey is mentioned 60 times in the Bible. Honeybees – which pollinate plants as they nourish themselves and live in a harmonious structure where each insect contributes to the welfare of others – reflect Jewish teaching that everyone can both be a giver and a receiver. Within our own communities, many Jewish organizations are bringing this interconnectedness to the social sector. Today, we want to take this moment to share some of the ecosystem-building work that the Jewish community has taken the lead on in the social sector. Seniors: The Chronicle of Philanthropy did a special report in 2015 on the seismic changes ahead for charities as Americans age. This report created a ripple effect in communities across the country, which came together to develop their own community reports, including one for North Texas that we had the pleasure of working on with The Senior Source and The VNA. The reports point to the problem, but Jewish organizations, in particular, across the country are already answering the call. AgeWell Pittsburgh was formed in 2002 by Jewish Family Service, Jewish Community Center and the Jewish Association on Aging as a virtual agency to provide information and referrals to seniors and their caregivers. It has now become a nationwide example of collaboration (winning the LodeStar Collaboration Prize in 2017) as well as providing a one-stop shop for all the services seniors might need to stay independent as long as possible. Advocacy: Like their Christian counterparts, the Jewish community has been a tireless advocate of improving our record on income inequality. It has been on the frontlines of the Earned Income Tax Credit as well as the recent increases in the minimum wage. Groups like the Religious Action Center of Reform Judaism have been leading the charge to enact laws to help low-income workers. Entrepreneurship: Innovation in the social sector has been in vogue for the past few years. The Jewish community was not only an early adopter of this philosophy, but it also built ecosystems to support entrepreneurial growth, especially among millennials. In 2002, organizations such as Jumpstart, The Natan Fund and the Samuel J. and Andrea and Charles Bronfman Foundations researched and developed support for emerging social entrepreneurs within the Jewish World. Later, the Slingshot Fund was created to highlight the most inspiring and innovative projects. Since 2005, the Slingshot Fund has helped 300 Jewish organizations in America get funding to support their work. Just like the bees, nonprofits – with leadership from the Jewish community – are learning to work together to create an ecosystem that supports our collective work. We at Social Impact Architects have been privileged to work with many of these innovators across the country. 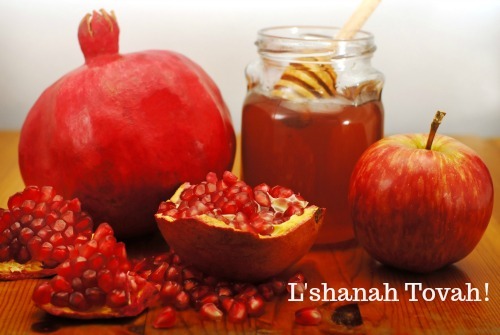 L’Shanah Tovah! We wish all of you a year of good health and a life worth living. If you have other examples of social innovation in the Jewish community that we should celebrate, we invite you to share them with us.